USD 376 in Sterling KS. Now LIVE with EZSchoolPay.com for Online Lunch Payments! Harris School Nutrition Solutions is proud to announce that USD 376 in Sterling, KS. 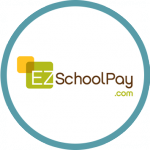 has chosen to start using EzSchoolPay, our online payment system. The districts’ parents will now be able to view children’s balances, transaction history, and make payments easily online or on the EZSchoolPay app for Android or iPhone! Jasper School District in Jasper AR. Now LIVE with EZSchoolPay.com for Online Lunch Payments!